Are you planning multiple college tours around Los Angeles? Or are you a current UCLA student needing group transportation for an event? National Charter Bus Los Angeles has access to a large network of buses in southern California for everything from UCLA group campus tours to college sporting events. Choose from comfortable minibus models for your academic organization outing, or choose a full-sized coach for a group tour with high-school seniors. Whatever the occasion may be, National Charter Bus has a transportation solution for your group traveling to and around UCLA. To learn more about our charter bus rental options, call us today at 323-201-2618. University of California--Los Angeles consistently ranks as one of the best institutions of higher learning in the country. 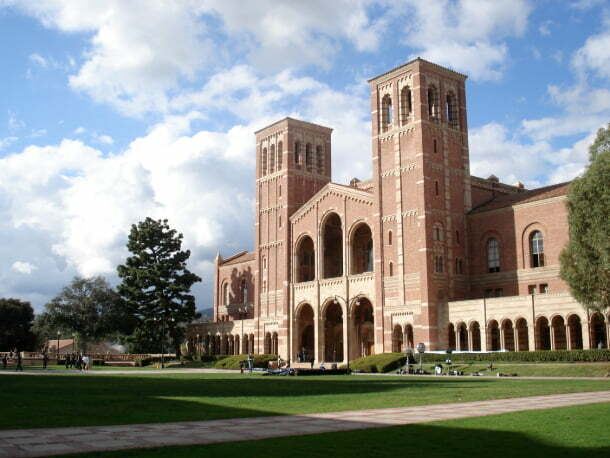 UCLA is hailed for being the best public university in the nation with rigorous undergraduate and graduate programs. The university is also well-known for its extensive and accomplished athletics departments, state-of-the-art hospital system and medical contributions to southern California. Undergraduate students can choose from over 125 majors, with some of the most popular being biology, economics, political science, and various branches of engineering. UCLA heavily values diversity and inclusivity among its students and faculty. With such a diverse campus and large international population, students are encouraged to explore and embrace others of different backgrounds. From differences in religion to economic status, students from all walks of life are encouraged to delve into the Bruins community. 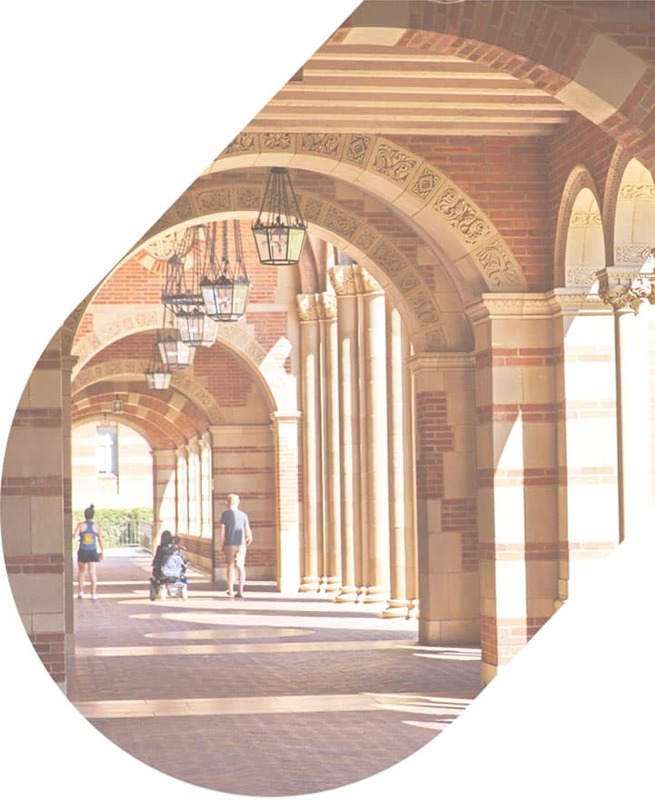 Tours of the UCLA campus are exceptionally popular, which means the university reserves guided group tours for high schools, community colleges, and community-based organizations. Groups travel from across California and neighboring states to explore the campus like a true Bruin. Each walking group tour lasts for about one hour and is led by a current UCLA student. These general campus tours are available for groups of 10 to 100 students, with at least 1 chaperone per 25 students. If your school group wants a specialty tour from specific programs like the School of Nursing or School of Engineering, these requests must be made directly through the department. Whether your tour group is coming from nearby locations like San Diego or shuttling all the way from Las Vegas, National Charter Bus will organize a comfortable and timely trip. Large groups of students looking to tour UCLA would be best suited with a full-sized motorcoach, which can accommodate up to 56 passengers. Students can stay entertained and travel in optimal comfort with amenities like plush, reclining seats, WiFi, and televisions with DVD players. Each charter bus rented from National Charter Bus includes a professional driver who will handle the parking logistics on UCLA’s campus. Once your group is dropped off near the Bruin Plaza for your walking tour, your driver will take care of the rest! Charter bus transportation can be utilized for groups beyond just traveling for college tours. Groups traveling to UCLA for events spanning from academic conferences to sporting events can use a charter bus as an efficient means of transportation throughout Los Angeles. 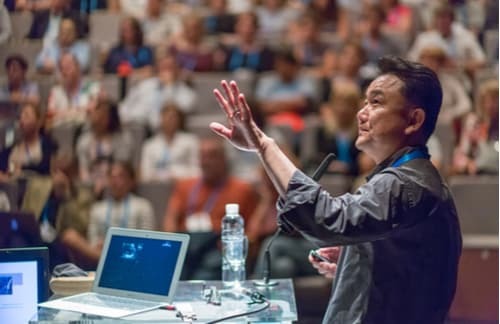 As a leading institution in several fields, UCLA departments host academic and research conferences across several industries. National Charter Bus will easily organize transportation services for academic conference groups coming from out of town. If your group is planning to make a long-distance trip to Los Angeles, we’ll be sure everyone arrives in a timely fashion to the conference venue, lodging, and any other locations near UCLA. Charter buses are also an efficient way to shuttle groups from LAX to UCLA’s campus for an event. Hotel and airport shuttles generally limit where and when groups can travel. With a private charter bus rental, your conference group can travel to UCLA on their own time without needing to rush to meet shuttle departure times. Along with conferences and tours, UCLA Bruins athletic games attract visitors from across the country. Whether you’re a group of students wanting to tailgate before a big Bruins game or you’re planning an alumni trip for the Rose Bowl Game, you can rely on National Charter Bus Los Angeles for group transportation. While in Los Angeles, be sure to explore everything else the city has to offer beyond UCLA’s campus. 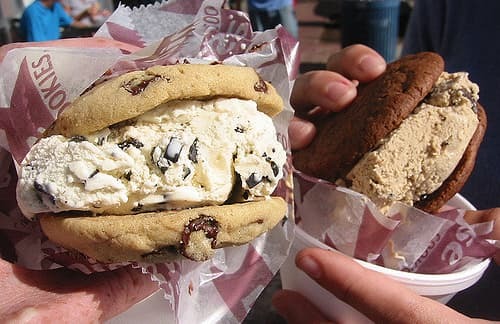 UCLA’s surrounding neighborhoods like Westwood and nearby Brentwood are home to countless tasty eateries and bars across different price points. Enjoy a night out on the town at the conclusion of an important academic conference or even to celebrate a Bruins win. No matter what may bring you to UCLA, your group can trust National Charter Bus Los Angeles for all your transportation needs. Leave the Los Angeles traffic and busy roads up to us while you focus on your campus tour, academic conference, or Bruins game. We can even shuttle your group between multiple campuses like USC and Cal State. We have rental experts on standby 24/7 at 323-201-2618 to assist you throughout the travel process.